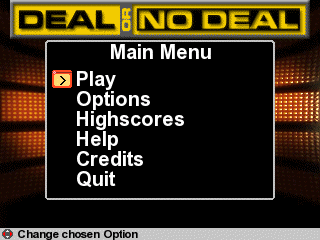 As a quick sideline project from my remake of Rockstar Ate My Hamster I am coding a Deal Or No Deal game for the GP2X. 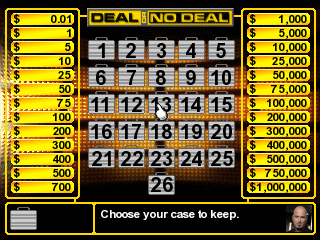 If you are not familiar with the game, its a gameshow shown in a few countries, more information can be found at http://en.wikipedia.org/wiki/Deal_or_no_deal. It's taken seven months and with more delays than a London Underground train it's finally released to the public! I hope you enjoy the game, I have put many hours of work into this game to make it a hopefully quality game that will remain on your GP2X. 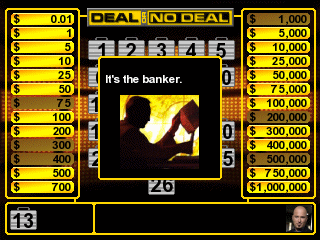 Deal or No Deal for the GP2X is a fan made interpretation of the hit TV show of the same name. 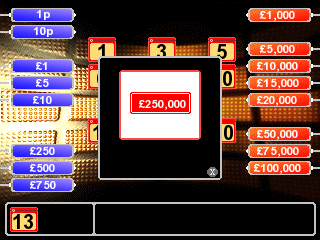 It features US and UK game variants complete with their own graphics and gameplay to match the shows, Speech from the presenter, models and players, Highscore tables to play against your friends and a Fully written PDF user guide and loads more! 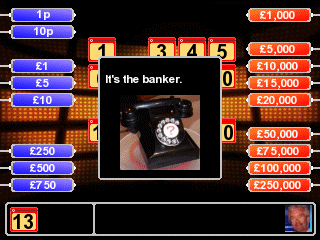 Winapa - Absoloutely brilliant piece of coding Guyfawkes! However, you owe me a GP2x, cos I can't get it back of my bloody wife now!!!!!!!! drokkeh - Guyfawkes...you lost me my GP2X. 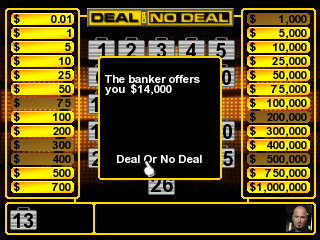 My gf picked it up and played deal or no deal and now i'm 'not allowed on it'. 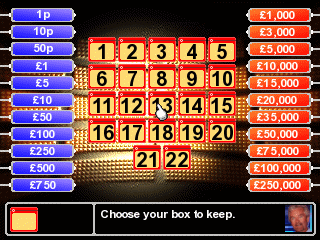 subcon959 - Very polished game indeed.. great stuff. Thomas - Thanks for creating such an entertaining game. It is my wife's and I favorite game to play together on the gp2x. So in a sense, you brought us together closer (she hated video games). 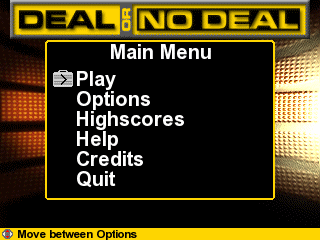 If you have any feedback on the game such as bug reporting, suggestions for new features or would just like to say thanks for the game you can email me via the Contact page here or alternatively post on my homebrew games forum post here (free registration required) or on the GP32x.com forums here (also free registration required). 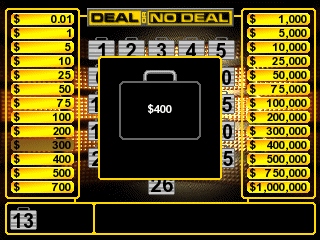 Deal Or No Deal for the GP2X is not associated with the TV Show or its production companies. It is a fan made version of the TV Show with no intention to cause offense or bring the name into disrepute.